Saw the trailer for the new Ghostbusters movie. The nicest thing I can say is that I hope the movie is nothing like it. Note that the trailer opens with the words “30 years ago, four scientists saved New York”, which suggests that the people responsible never saw the original. I could watch this (NSFW) all day. Now if only I could figure out which of her DVDs it’s from (or better yet, a Bluray). The Taiwan Girl Tumblr might not be officially approved by the national tourism bureau, but it should be. Perhaps they’re upset that all the pictures are grabbed from another blog, which doesn’t identify the models or photographers. Google Image Search, on the other hand, had no trouble tracking this picture back to its source on Flickr in an album by Taiwanese photographer Robin Huang. 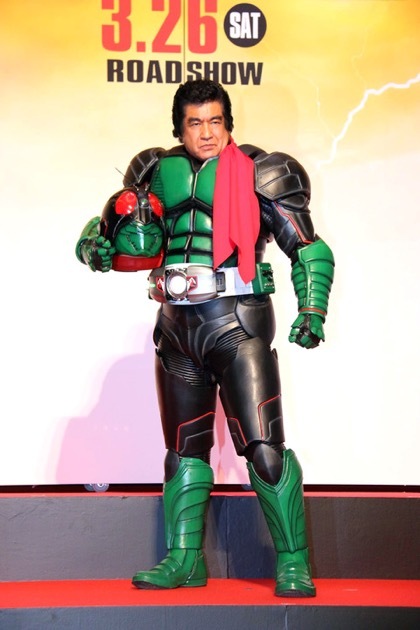 70-year-old Hiroshi Fujioka reprises his role as the original Kamen Rider in a new movie (while also appearing in this year’s big NHK samurai drama, Sanada Maru, which I’ve caught a few episodes of). 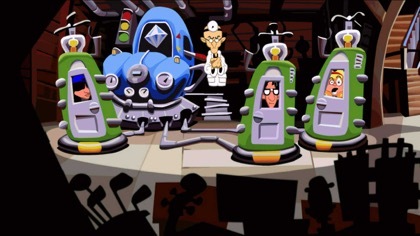 Day of the Tentacle Remastered is out now on GoG, Steam, etc. Coming in 2017: Full Throttle Remastered. When she gets out of the hospital, her new nickname will be “Lefty”. The award for Most Annoying Verbal Tic On A TV Food Show has to go to Rachael Ray for constantly spelling out “EVOO” and immediately following it with the complete phrase “extra-virgin olive oil”. Made me want to drive a steak through her heart any time I accidentally flipped past one of her shows. 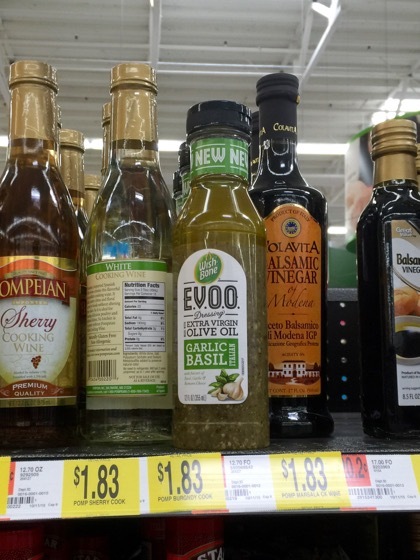 Note that my local Safeway didn’t put this stuff with the salad dressings or the olive oils, instead squeezing it in between the cooking sherry and the balsamic vinegar. Probably not a top seller.